I was recently introduced to, and began recommending a new healthcare service called OnDoc. It is not healthcare insurance. I could offer a few sarcastic reasons to support this statement, but for now, will simply say that it is more likened to healthcare assurance. 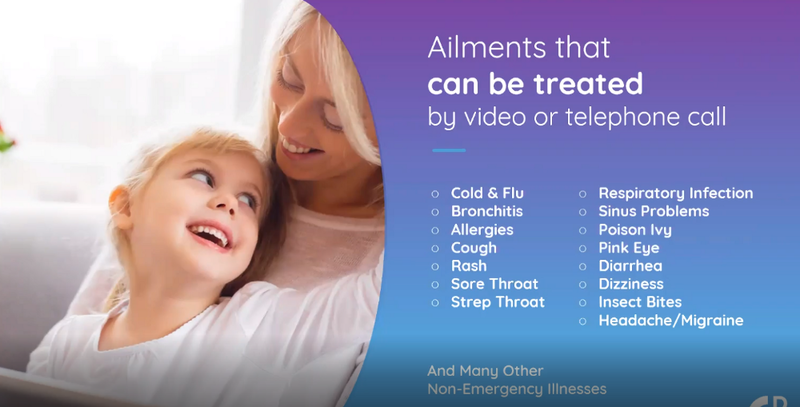 Part of the fast-growing telehealth sector of the healthcare field, OnDoc is a private, simple, effective, and affordable way for you to get virtual access to a licensed, board-certified medical doctor on a 24/7 basis. An article in today’s Washington Post reports on how contractors who lost their insurance during the government shutdown, remain in limbo. While about 800,000 federal employees have been promised full back pay as the government prepares to return, even temporarily, to operation, millions of contractors have no such expectation. 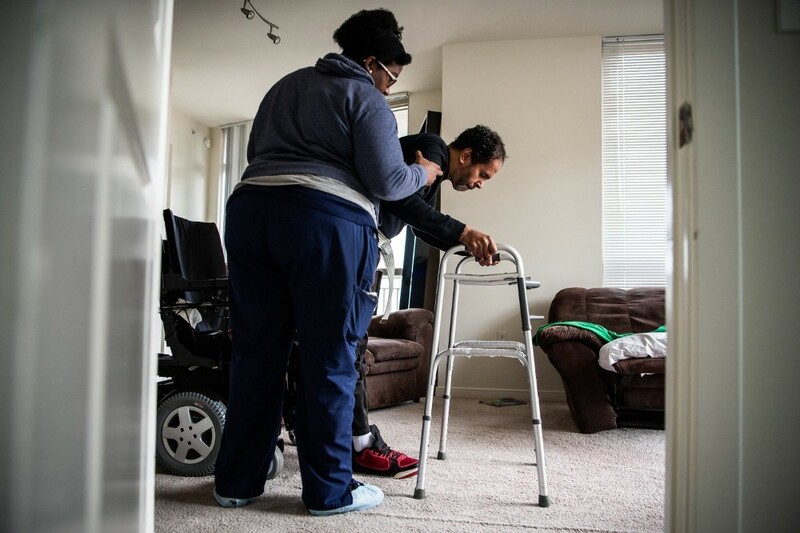 Mr. Morgan, shown above, was unable to fill a $3,600/mo prescription for medication when coverage lapsed as his wife’s company was unable to pay the group health insurance premium. How the shutdown so quickly shredded the personal safety net of employees at Unispec reflects the razor-thin profit margin and unsettled nature of business for government contracting firms and their employees. Relied upon for decades to depress growth in the government’s hiring of civil servants, federal contractors have become an auxiliary force that often does much of the same work as rank-and-file government staff, but with ­secondhand job security. While the couple cited above might not share this viewpoint initially, I personally consider the interruption of a $3,600 per month bill for medication a blessing, as there are other far more effective and inexpensive ways to address MS that most doctors aren’t versed in. However, OnDoc could serve a subscriber like this in two very specific ways. Affordable personal coverage ~ OnDoc is a subscription service that you pay monthly for. Starting February 1, the fee is $30 per month ($25 until then) for the household. The contractor relied on her company’s healthcare insurance coverage, and when it lapsed, they had no backup of their own. 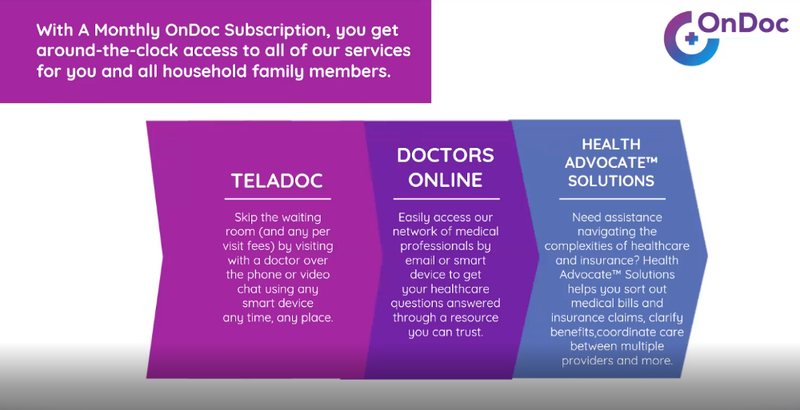 Health Advocate Solutions ~ In addition to the access made possible via Teledoc and Doctors Online services, OnDoc’s sleeper service helps members sort out medical bills, insurance claims, and coordinate care between multiple providers. I am not suggesting here that OnDoc would have taken the place of the health insurance coverage that this couple lost. As regulated as the healthcare industry is, many “do’s” and “don’ts” must be strictly adhered to. To never get into a situation where their insurance company is being asked to pay $3,600 / month on a single medication. By providing an informational resource that can provide a “check and balance” for interactions with healthcare providers. OnDoc is neither the first nor only company in the fast-growing Telehealth sector. However, it is the first and only one to offer this array of valued services and to set its growth, and rewards, directly in the hands of its customers, by paying a perpetual (residual) referral fee to subscriber members (called Partners) who bring new members to the company. The numbers don’t sound big. $5 per referred OnDoc member, per month. However, some very interesting things soon begin to happen. 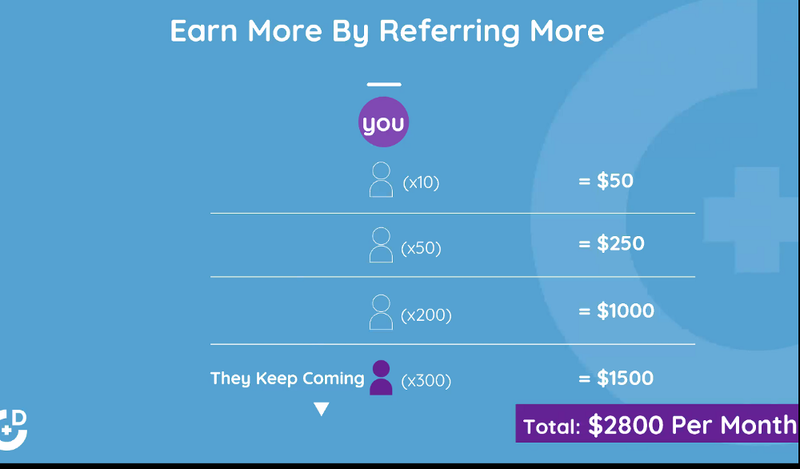 When you’ve referred 10 people (10x $5 = $50 / month), referral commission system restrictions are unlocked, so that you get $5 from direct referral, and from referrals made by generational referrals. In other words, with a minimum of just 10 referrals, you will now be paid $5 on indirect referrals, irrespective of how many levels “down” they may go. That being said, OnDoc is not a “multi-level marketing” (MLM) company. 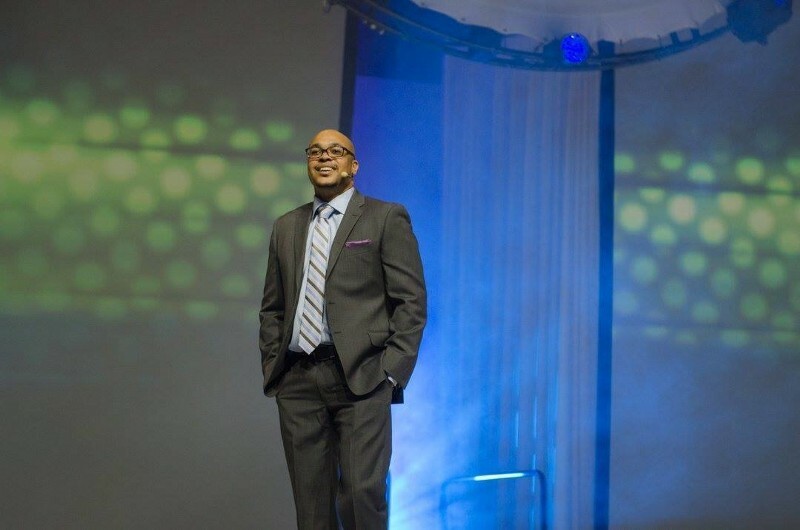 Company founder, Robert Wilson, a former executive at Dallas-based Stream Energy, and knows a thing or two about building successful MLM organizations, is very clear that delivering valued services, and not marketing, drive the company. Indeed, you will not see many of the elements that tend to go hand-in-hand in MLM organizations, starting with simplicity. OnDoc is a set of simple, easy to explain and understand, vital services, offered at an affordable price. The rewards can begin and end with peace of mind. 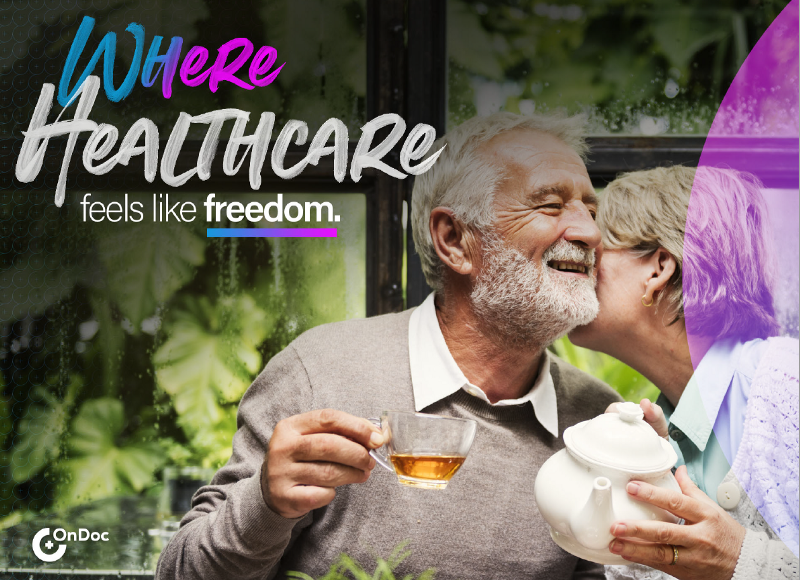 Join and, for $30 a month, have virtual access to a medical professional when you or someone in your household needs it. Or, share OnDoc with others and have your financial limits set only by how much work you want to do. Given the millions of people who are in some form of healthcare limbo, it may not take too long before “the work” becomes self-sustaining, and even grow organically. I asked Mr. Wilson how the company would be able to sustain paying such a commission structure. He said that with his many years designing compensation plans, history suggests that most people will not meet the 10 referral requirement. I can’t help but wonder how long he’ll be “right” on that one. With less than 800 total referrals (only 10 have to be direct), that couple in the Washington Post article would be making over $4,000 per month in residual income for sharing a service that helps their family, friends, and communities. I would add the words “affordable” and “rewardable” to the statement above. I bet that would be an incentive for them to find better and healthier ways to live instead of paying so much on a medication.